With IOTA you can stream data to the Tangle. 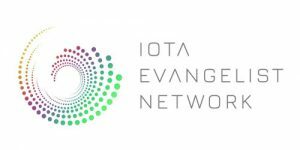 You can use the IOTA Data Marketplace to sell this data or you can use this platform to purchase it. Streaming data to the Tangle is pretty easy. For example you can stream weatherdata like temperature, air pressure, humidity or whatever data you are collecting. You don’t need expensive hardware to participate. A Rasperry Pi and one or a few sensors are enough. If you want to have many sensors at once you can buy the Raspberry Sense Hat for e.g. This little device gets connected to your Raspberry Pi and after a few lines of codes you are ready to stream data to the Tangle. But there are also other small and powerful devices like the Ruuvi Tag and the Bosch XDK. These hardware devices are perfect for collecting data. They are small, lightweight and run on low electricity.